A foster child filed a personal injury lawsuit (rather, a lawsuit was filed on his behalf) against those responsible for his care after they allegedly failed to provide him with proper dental care. He claims he had a serious pain in his teeth that his caregivers ignored, and that he might suffer lifelong injuries as a result. The lawsuit names several defendants: the Children’s Network of Southwest Florida LC, Camelot Community Care, Lutheran Services Florida, and two Lutheran Services employees. All of the defendants filed a motion to dismiss for failure to state a claim. The court granted the Children’s Network’s and Camelot’s motions, but gave the child 30 days to file an amended complaint. 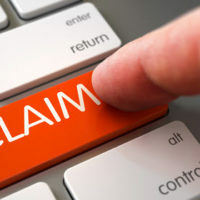 What Is Failure to State a Claim? Failure to state a claim (officially called failure to state a cause of action) is an affirmative defense under Florida law that allows defendants to question the legal basis for the lawsuit. This defense is most likely to succeed when the plaintiff doesn’t follow the state’s pleading requirements. a demand for judgment (the relief that the plaintiff is requesting). If the complaint is deficient, the court might give the plaintiff an opportunity to correct those mistakes. After filing their original complaint with the court, Florida plaintiffs are allowed to amend it one time before serving it on the defendant. Subsequent amendments require court approval. To get this approval, the plaintiff must file a motion to amend the complaint and attach the proposed amendment. The court then has discretion to grant or deny the plaintiff’s request. There is also something called a supplemental pleading, which allows plaintiffs to include transactions or events that happened after filing the original complaint. The plaintiff must first file a motion with the court, which will decide whether to permit the supplemental pleading. Like the original complaint, the plaintiff must serve the supplemental pleading on the defendant and provide notice of the new claims. Legal procedures like these can be confusing. An experienced attorney can explain pleading requirements (like stating a claim and filing amended complaints) and everything you need to know about the litigation process. Contact a Fort Myers personal injury attorney at The Pendas Law Firm today for a free consultation if you were the victim of negligence. We will guide you through the litigation process and help recover the compensation that you deserve. The Pendas Law Firm also represents clients in the Jacksonville, West Palm Beach, Miami, Orlando, Tampa, Fort Lauderdale, Daytona Beach and Bradenton areas.